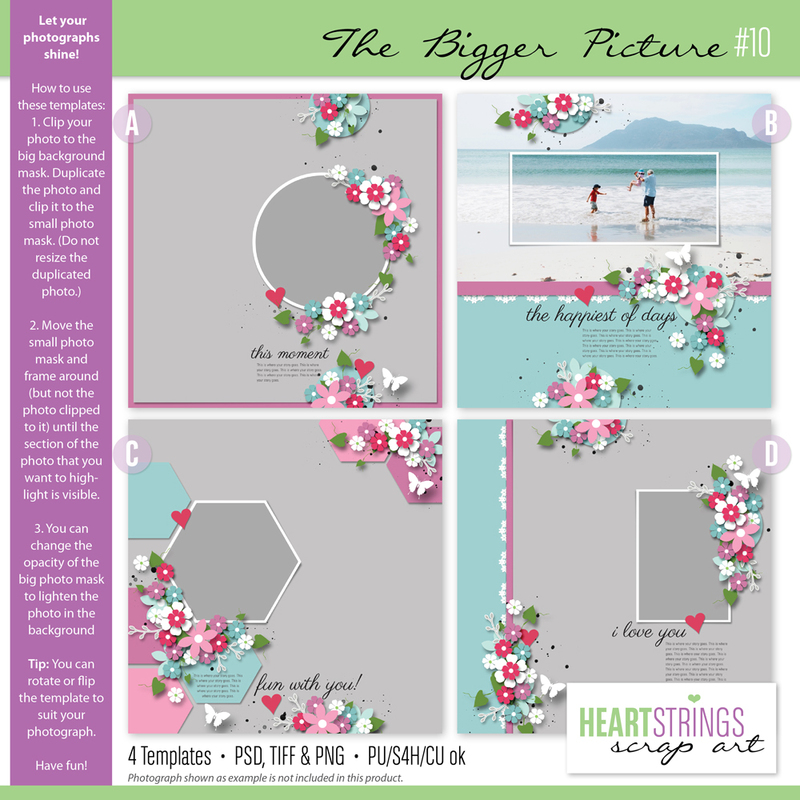 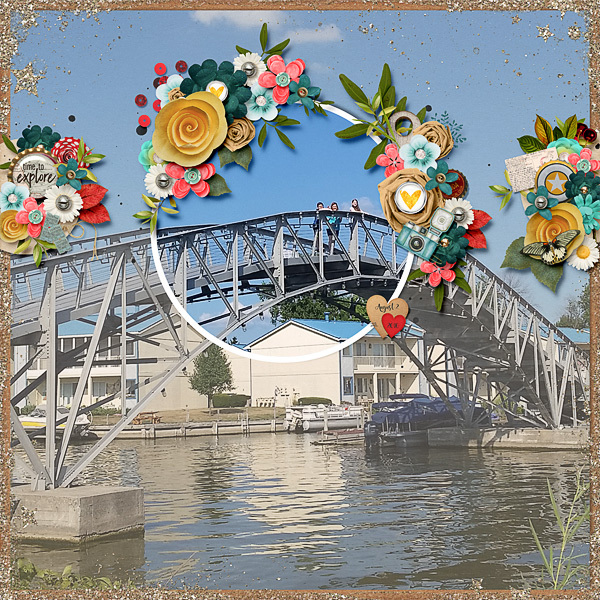 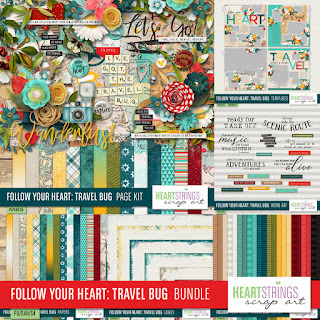 Showcase big photos in style with this new template set by Heartstrings Scrap Art. 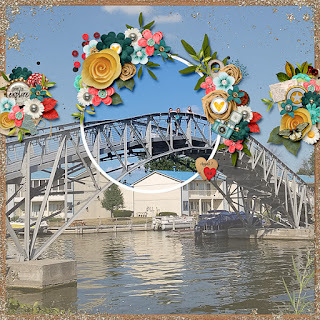 The end result is that part of this photo will be blended or off focus and part of the photo will be clear or in focus for a very dreamy look! I used a wonderful travel themed kit with one of these templates.